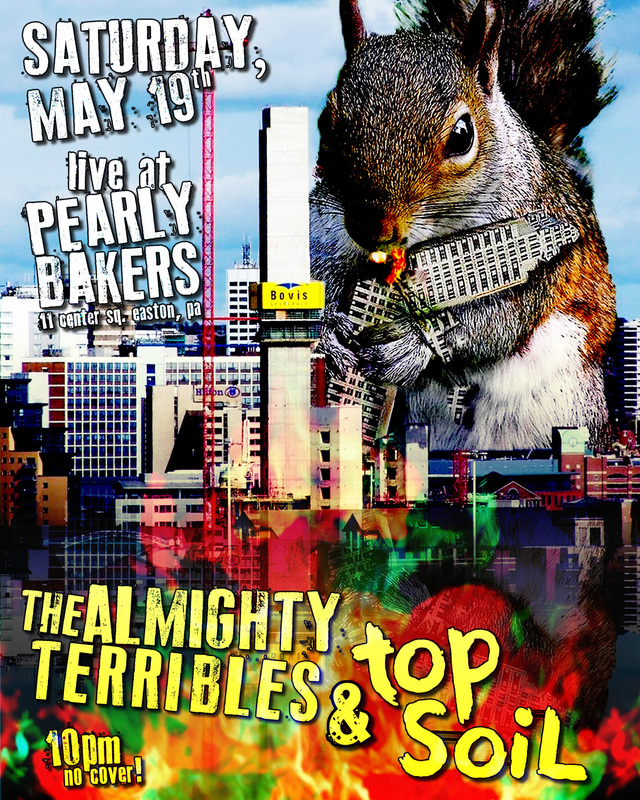 THE ALMIGHTY TERRIBLES & TOP SOIL MAY 19th | DAVE CAHILL | Singer, Songwriter, Producer, Dissident. THE ALMIGHTY TERRIBLES and my brothers band, TOP SOIL, will be performing together on Saturday, May 19th at Pearly Baker’s Alehouse in Easton, PA. There is no cover so come on out and get down with us!